As a preschool in Gilbert, we know the importance of early childhood education. Formal education positively impacts the development of your child. This means that the earlier you introduce your child to formal education, the more you increase their chances of developing holistically. This will also allow your child to maximize their potentials later in life. Early childhood education is geared towards helping your child acquire cognitive, social, and language skills. These skills will help your child develop intellectually as well as emotionally. You will also allow your child to establish a firm foundation that will help them master their school subjects, as well as quickly acquire learning skills, during their kindergarten and K-12 years. Children start to learn language skills and also acquire some basic life skills after their second birthday. Therefore, if you still engage your three-year old toddler in baby talk, instead of teaching him or her proper language; then you are denying your child an opportunity to develop proper communication skills. It is much better for you to enroll your child to a daycare center which offers early childhood education. Nevertheless, you must also ensure that the daycare center uses an approved curriculum as the curricula of daycare centers determine the quality of education they offer. Your child is unlikely to benefit from low quality early childhood education, because he or she will be unable to acquire the right cognitive, social, and communication skills; and this will negatively impact their future education. Research has also shown that low quality early childhood education is associated with acquisition of violent tendencies by toddlers, and this inhibits their social development. It is therefore important for you to check the quality of early childhood education offered by the daycare institution that you intent to enroll your child in. 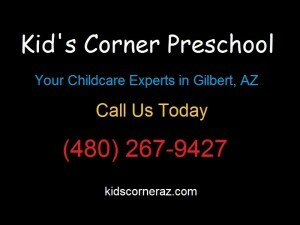 Parents also benefit from enrolling their children in a daycare center in Gilbert. To begin with, you can easily manage your child as you share some of your parenting responsibilities with your daycare teachers. Moreover, if you are a single mother, enrolling your child to a daycare center will allow you to continue working as normal, and you will be relieved to know that your child is being taken care of by your Gilbert daycare center.